They Put the Road Where? 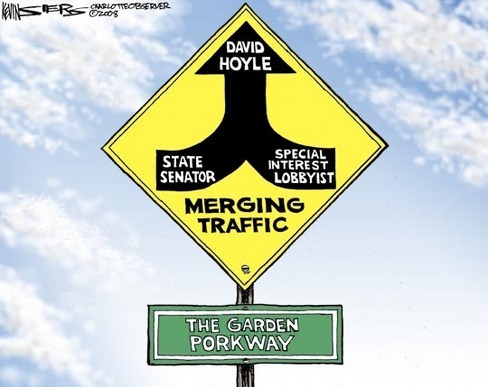 Questions are being asked about Senator David Hoyle’s involvement in the Garden Parkway in Gaston County and some land he owns along the way. The Charlotte Observer has the run down with a quote from our friend Professor David Hartgen.